Chris Menahan | Information Liberation Google-owned YouTube has introduced a new “feature” whereby news-related search terms now offer links directly to CNN’s website as the number one result. The number one video result was also CNN. Though they started putting links to Wikipedia at the top of “conspiracy-related” search results last year, this is the first time I’ve seen it for regular news. As I reported last year, YouTube rigged all their search results to favor corporate news organizations rather than actual YouTubers. 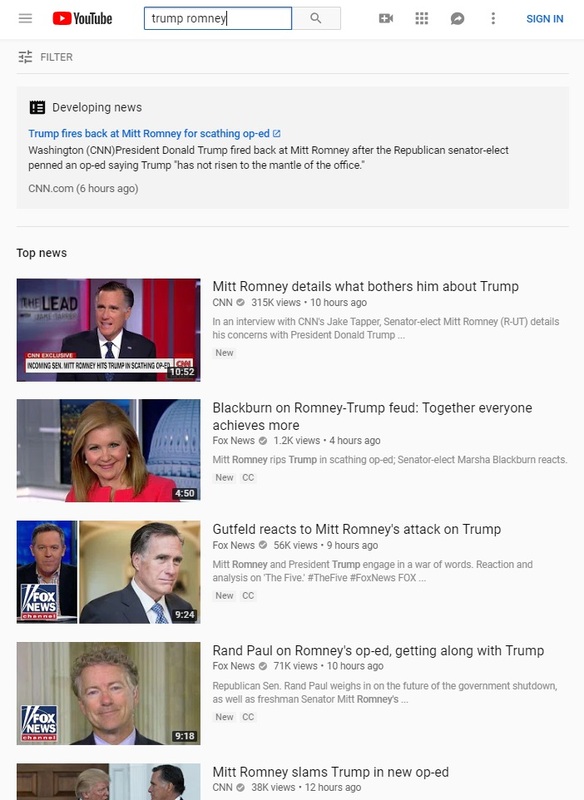 Evidently that wasn’t good enough, so now they’re just injecting CNN’s propaganda directly at the top of their results. The top result at the time, an anti-abortion video titled, “LIVE Abortion Video on Display,” was shoved down 39 pages in the results after she complained, meaning you had to go past around 190 videos to get what was the number one result the previous week.